Autumn in New England, Cider Making is the smaller of two versions of the subject completed shortly before Durrie's death in 1863, and hailed by a local New Haven newspaper as "his crowning composition." 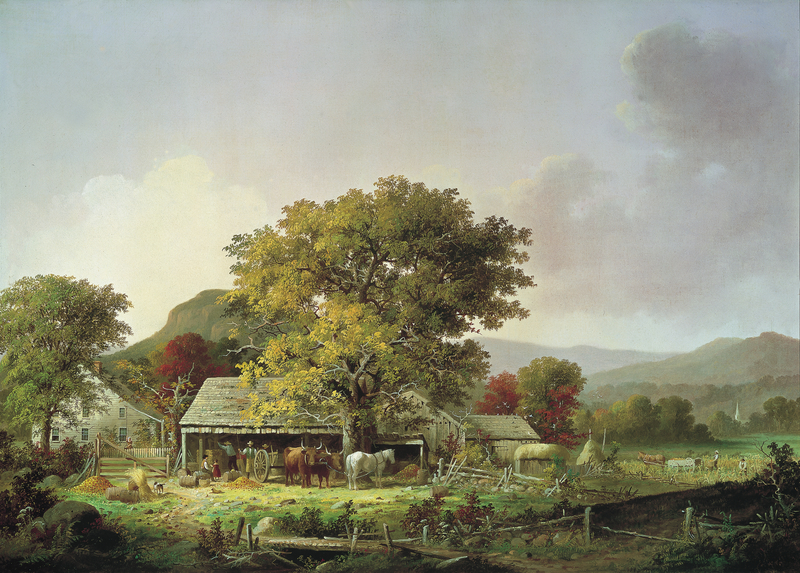 Although better known for winter landscapes, he had painted harvest scenes since the mid-1850s. These images were filled with rustic detail -with neatly stacked piles of apples and hay, docile farm animals and distinctive Connecticut River Valley clapboard inns- and they evoked an ideal vision of rural life during the early years of the Civil War. "Durrie's landscapes represented New England", wrote James T. Flexner, "which as [...] champion of the Union in the War was acquiring a legendary aura as 'the cradle of American virtues." Currier & Ives found such demand for Durrie's images that the firm reproduced ten of his paintings, including Autumn in New England, Cider Making, as lithographs between 1861 and 1867. Largely self-taught, Durrie formed his landscape style on the Claudian conventions and selective naturalism of the Hudson River School. Following Asher B. Durand's observations in his "Letters on Landscape Painting" which were published in The Crayon in 1855 and 1856, Durrie made pencil studies in nature and then arranged his compositions around a single picturesque tree. He noted in the catalogue of an 1862 auction of his sketches and paintings: "Many of them are directly from Nature. About all are painted from studies I have made in Connecticut and other New England states." His origins as a coach and sign painter are evident, however, in his flat handling of paint and arbitrary areas of pure colour and in the toy-like figures who populate the landscape. In the background of Autumn in New England, Cider Making stands West Rock, one of the bluffs flanking New Haven often featured in albums of picturesque scenery. 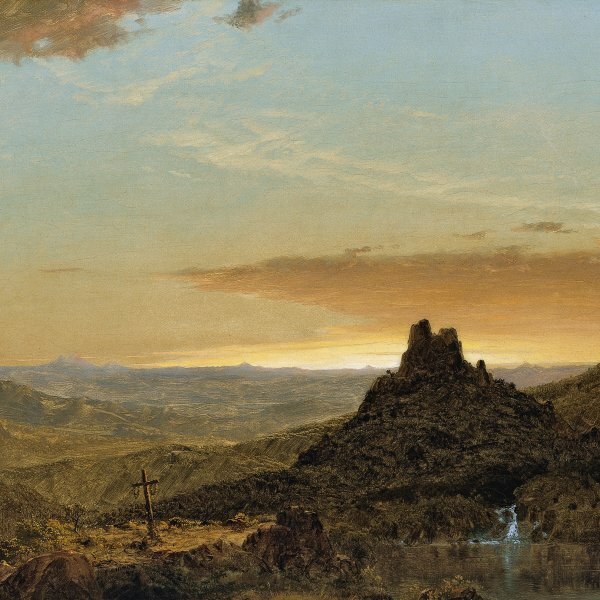 Frederic E. Church depicted the landmark in 1849 in Haying Near New Haven, West Rock (New Britain Museum of American Art, CT), one of his first major successes at the National Academy of Design. Durrie painted a set of East and West Rock landscapes that year, and in 1853 he made a pair of views lithographed and made into postcards for sale at his New Haven studio.